Well, January 15th has come and gone. If you happen to manage a Chrome supervised account, you’re probably well aware that some major changes have taken place and your hands are currently tied firmly behind your back. I’m sure many of you are left wondering what happened, why and how Google is going to remedy the current situation that is Supervised Users for Chrome. While I wish I had some solid answers to provide you with some solace, at this time I’m afraid all I have is the “official” response from Google to share and it’s likely not going to set well with most. Since we launched Chrome Supervised Users in beta preview, we’ve learned a lot and received some great constructive feedback on how the experience can be better. That’s why we’re working on a new set of supervision features specifically for the needs of families later this year. Deprecating supervised users is the first step in the evolution of our offering. For now, existing supervised users can continue to be used in their current state even after remote supervision is turned down on January 15. For those in Education, G Suite for Education is our supported management experience and has a comprehensive feature set for the classroom. The post continues on by pointing attempting to answer some of the “why” behind Google’s decision but in the end, the explanation only convolutes the problem. 1.) Why the short notice? – We acknowledge how challenging it can be to adapt to change quickly. Moving forward, we’ll do our best to provide you with more notice about these types of product changes. 2.) Why is Supervised Users being deprecated? – Supervised Users is being deprecated because we are working on a new set of supervision features for families, to launch later this year. Turning down the beta preview of Supervised Users is the first step of this process. 3.) Why not just leave the current supervised user functionality working until the new feature is ready? – As mentioned above, turning off remote supervision of Supervised Users is the first step of the process towards launching the new functionality later this year. Existing supervised users can continue to be used in their current state. 4.) 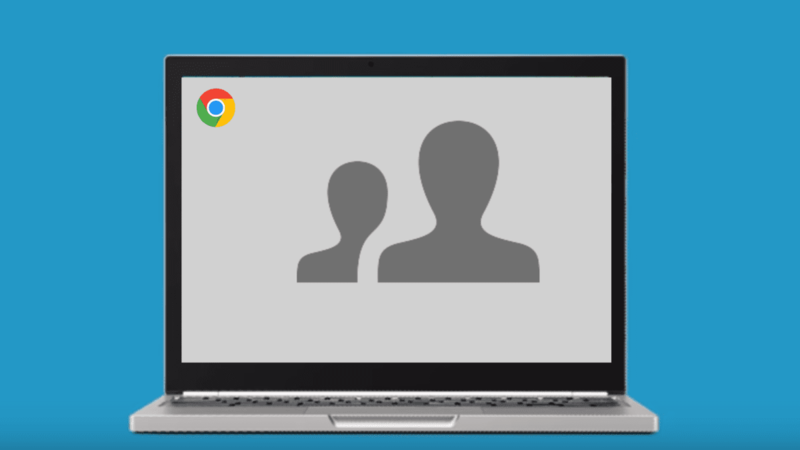 When will supervision features for Chrome OS be available and what will they consist of? – We can’t share a lot of detail just yet, but we plan to offer new supervision features for families on Chrome OS later this year. 5.) What is an alternative that we can use in the meantime? – In the meantime, some of the Top Contributors have shared some third party alternatives, including several Chrome extensions and Android apps. 6.) For Education users, is recommended they use G Suite for Education instead. However, is that also available for homeschooling families? – G Suite for Education is designed for formally accredited K-12 or higher educational institutions. Until the new supervision features for families are available, homeschooling families may be interested in the browser extensions and apps recommended by other community members on this forum. There you have it. If you follow the link from chrome.com/manage, you’ll be redirected to the SU support page telling you essentially the same as above. In the article, there is mention of using the Family Link app to manage Chrome for your kids. Great for your mobile devices. Unfortunately for Chromebook users, it doesn’t do the trick. The only redeeming suggestion in the whole mess is the possibility of using a third-party platform to manage your devices until Google’s “replacement” is unveiled. One such product is Mobicip. I’ve signed up for the parental control software and will be testing it over the next week in hopes that I can share with you that it is a viable alternative for Chrome Supervised Users. There is a free tier that allows for some limited control and monitoring but for only $40 a year you can upgrade and manage 5 devices with a cart full of features. At the end of the day, the whole Supervised User saga is just shy of a catastrophe. Hopefully, whatever Google has up their sleeves will be more than just a band-aid on a bullet wound but I’m not holding my breath. I will ask a personal favor at this point. If you find yourself in the Chrome or Chromebook forum, remember that those guys and gals are volunteers. I can assure you that their frustration with the Supervised User mess is equal to, if not greater than yours. Show them some grace as they wage through this quagmire with you.